This article will give you a flavor of how you can use probability to think beyond what is visible to an average user in any social networking website. Here is simple tricks using probabilities on LinkedIn to overrule the restriction put by LinkedIn on its non premium users. Let’s start with estimating some numbers. The total of these numbers is the total number of profiles open to me to visit. I am likely to get profile restriction message for all other users. Let’s do a sizing of this number. We will like to open the full profile of this person without upgrading our account to premium. Let’s try to understand what factors linkedin takes into account before deciding whether a person X knows Y. 4 out of the 5 attributes of this list are very difficult to trigger unless until X actually knows Y. Last criterion is something one can easily manipulated. Here’s a simple way to do the same. P(B) : Random person views B’s profile. B’s name comes in Y’s “people also viewed” tab 1st name. Hence, P(B/A) is extremely high. We all know that P(B/A) ~ P(A/B) or both move in the same direction. If P(B/A) is high P(A/B) will also be high. Hence, if X goes into B’s profile from this page, it is highly likely that X will be on B’s “people also viewed” tab. Also because X reaches B through Y’s profile and not a random search, he triggers the 5th criterion (among the 5 attributes identified above) and will be able to see complete B’s profile. X finds Y on 4th number in the B’s “people also viewed” tab. 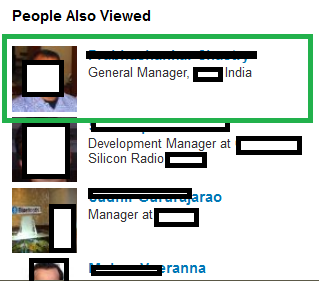 This time however X triggers 5th criterion for Y as well and hence linkedin shows X Y’s complete profile. The algorithm works in most of the cases, however, in some cases you might not find the target in the list of “people also viewed” of the intermediate person. This is probably because you chose an intermediate person who might be much more popular than target person. In such cases try choosing people who have a closer relation to the target person. Please note that the article is based on my experience with analytics and frequent usage of LinkedIn, there is a possibility that we might have missed some of the variables LinkedIn takes into account. Do let us know of any attribute you think might be one of the variable LinkedIn takes into account and we missed to mention the same in this article. Did you find the article useful? Share with us any other techniques which you know to make use of social networks in a better way. Also share with us any live examples of using probabilities in real world scenarios. Do let us know your thoughts about this article in the box below. Thats a fair question.There are multiple factors influencing the number n. One of which as you rightly identified is no. of my friend. In case i increase my number of friend by say 100% , there is a probability number of common friends increase as well. Say number of common friend also increase to 2 . If you do the same calculation you will find the same number 18 MM. However, there is a small scope of inaccuracy in this case. If the number of common friends were more than 50, this calculation would have been more accurate. Hope this clarifies your query. Let us know your thoughts on the same. 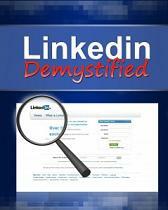 Principle of locality applies to linkedin. This follows from this article. It will be helpful for our readers if you elaborate on what do you mean by principle of locality. Assume if there is no mutual friend between two people, then N will become undefined and it is more likely to happen, So N cannot be the total number of users in Linkedin, N can only be the Number of people connected within your network. As I said tge lower number of mutual friends the lower will be the accuracy of the calculations. And if you really want a better way of calculation. Choose a sample of linkedin user. Get the average number of nutual friends and average number of their total friends. Now repeat thr calculation as explained in this article. Try to choose users whose knowing someone is independent of you knowing the same guy. Like choose users from different background, country and company. If you are able to build an unbiased sample your calculations will be almost accurate. The only issue you wil still face is that such profiles will have far lesser than 50 mutual friends and will hence bring more noise. But you will get fairly accurate numbers. Good Analysis. 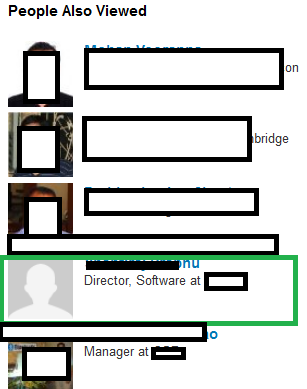 Though a cheat code for connecting with such connections could also be in a way that you type the full name of person, who is 3rd degree away from you in Search column on your Linkedin Page. 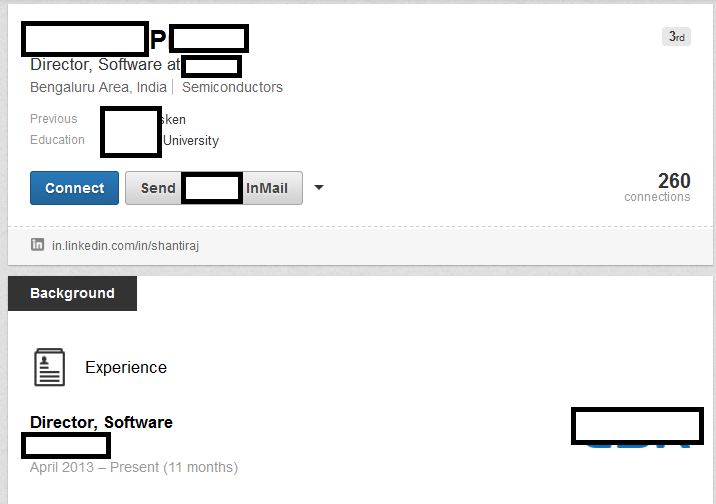 Linkedin doesn’t allow to see profile for 3rd degree connection but if you follow this cheat code, you will be able to see the complete profile of 3rd degree connections and then connect with them through a trusted network of networks. It worked for me for more than 5 years now. You are absolutely correct. But in this case you will have to know the full name of the person whose profile you wish to see. The method demonstrated in the article is not limited by this constraint. You can directly find a person using some of the filters you know of and follow the steps in the article.